On December 5 to 12, 2016 within the framework of the of leadership potential development program in universities of Ukraine, financed by the British Council, the six-person strong delegation of Drohobych University led by Rector Professor Nadiya Skotna and deputy chairman of the National Agency for Quality Assurance in Higher Education of Ukraine Serhiy Kurbatov visited the Anglia Ruskin University in Cambridge, United Kingdom. 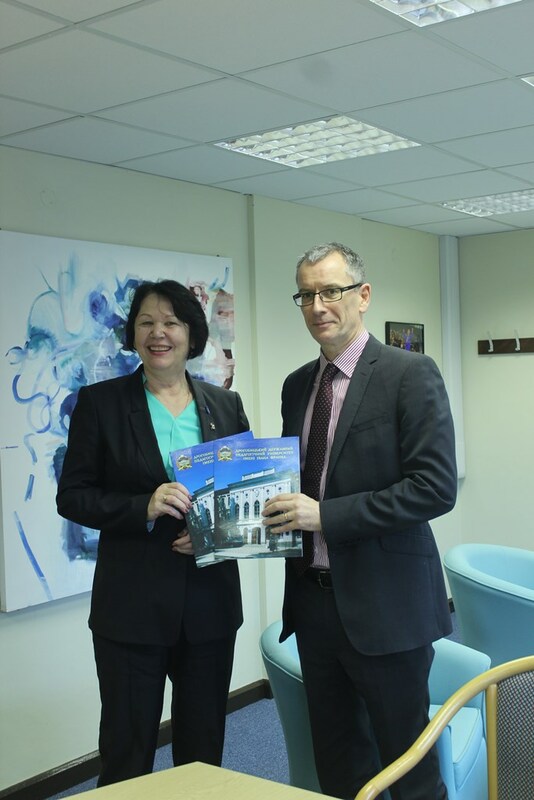 The purpose of the visit was to get acquainted with higher education in UK, educational process organization and quality assurance system in higher education. The outcome of the visit was the signing of cooperation agreements between the British and Drohobych universities. The participation in the program has been confirmed by certificates awarded to all the members of the team by Anglia Ruskin University management. In addition, the delegation attended meetings and workshops with leading educational institutions of the country – the British Quality Assurance Agency in Higher Education (QAA) and Leadership Foundation in Higher Education. The experience gained will be valuable for the implementation of the educational process of our university.